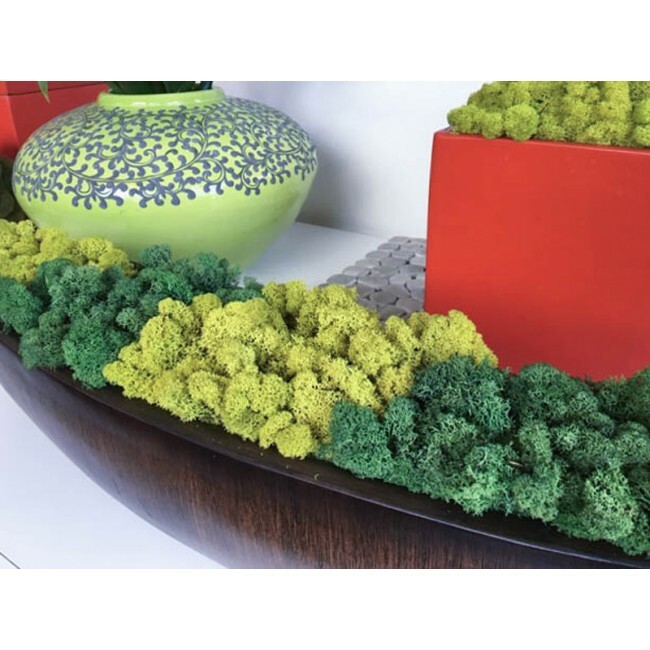 Reindeer Moss is a lichen that has been dehydrated of moisture and re-hydrated with glycerine to maintain its softness. 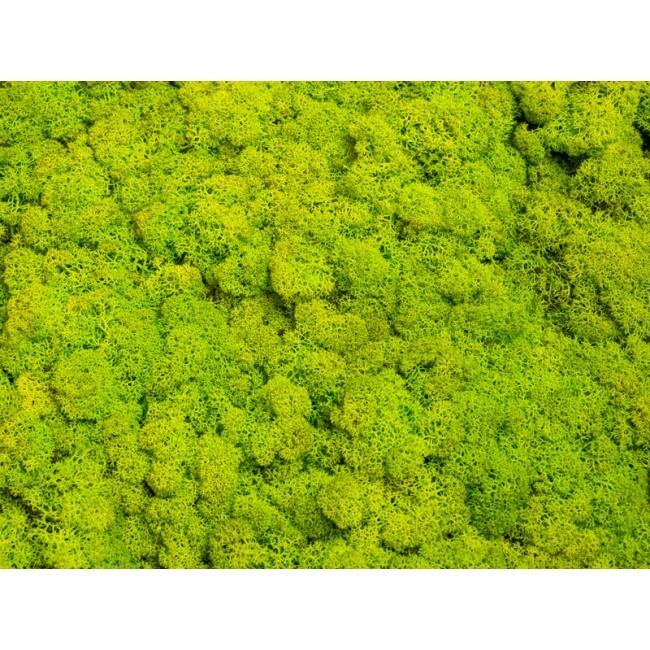 Because it requires no maintenance and is cleaner than traditional moss, Reindeer Moss is the perfect product for interior landscape designs. 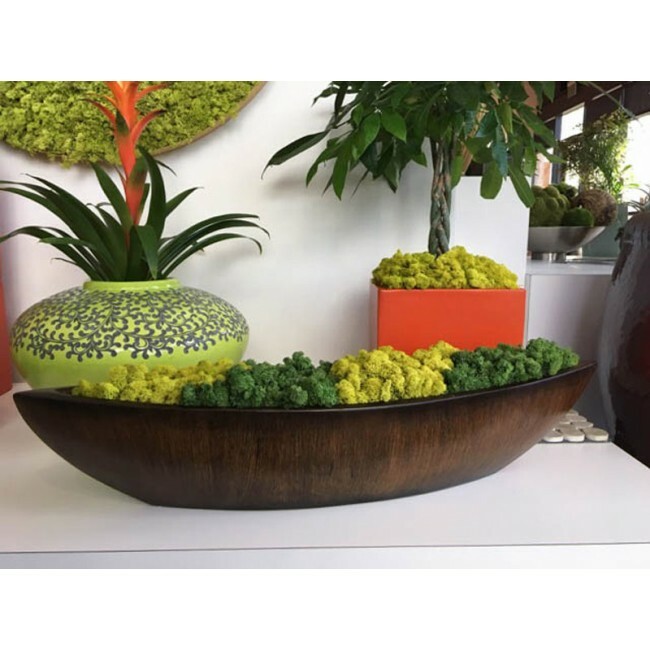 Whether used as a top dressing to enhance plant container displays or installed in a trendy moss wall, Reinder Moss provides a rich look, soft feel, and fresh aroma that your clients will love. 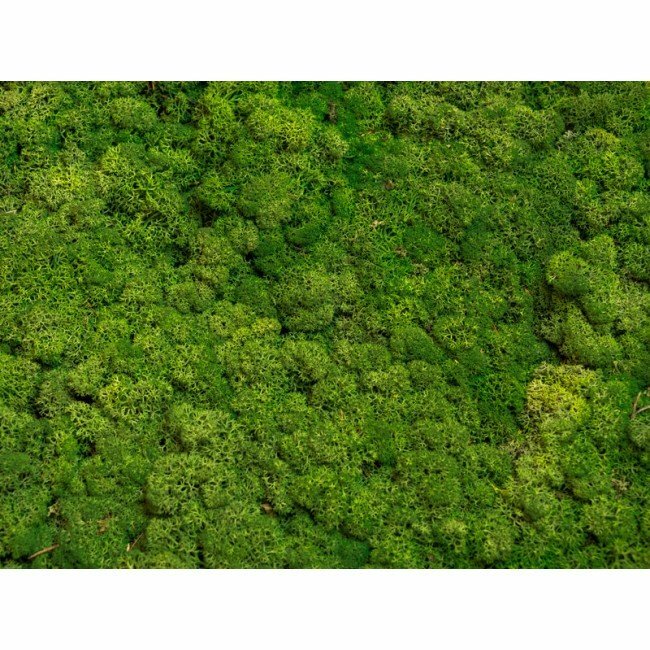 Our Reindeer Moss is sustainably harvested by picking small patches in areas that are not harvested again for 5-8 years. 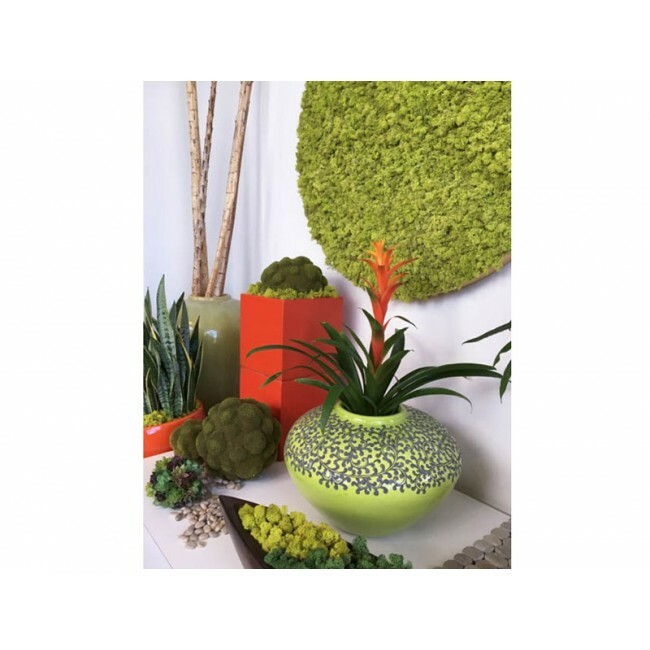 Because of lichen's natural tendency to grow where it avoids direct sunlight, it should never be installed in an area that is exposed to harsh, direct sunlight as this will cause the moss to lose its beautiful, vibrant color. 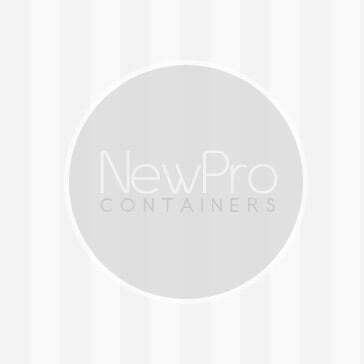 A 10lb box will provide 6-12 square feet of coverage depending on the thickness of application.